Chocolate truffles are truly terrific. They make wonderful gifts for ringing in the holiday as well as an elegant offering with a cup of coffee. Hallmark's Chocolate Truffle recipe calls for a splash of fancy liqueur, but traditionalists can use vanilla extract. 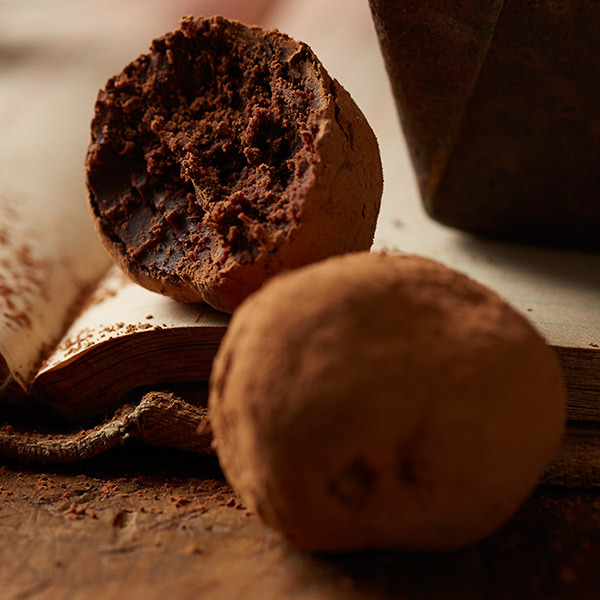 Beware: These tablespoon-size homemade truffles pack a powerful cocoa punch. Bring the cream to a low boil. Pour over chocolate and stir until smooth. Form into tablespoon-size balls, and roll each in cocoa.